Haven't been to a gig for a couple of weeks so it's time to break that sequence with the visit of the Swedish legends of progressive power metal AKA Evergrey. I am not quite certain how many times I've seen the band but it's at least once if not twice to add to Saturday nights passing. Evergrey have always been a band that I've looked out for but not as a religious fan or anything. 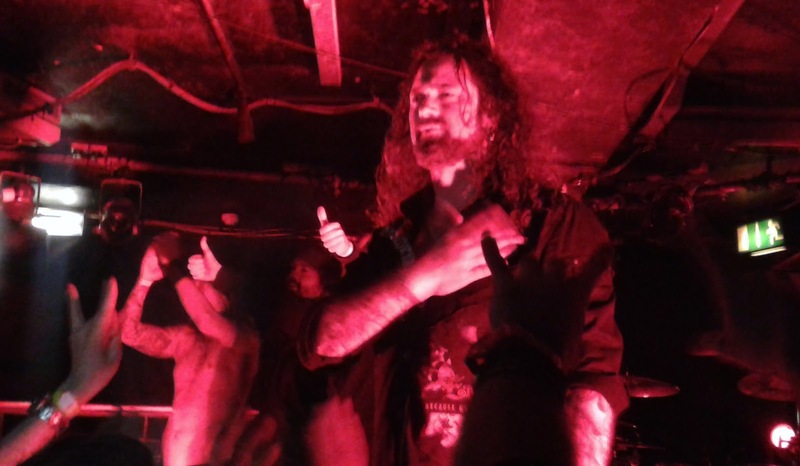 They've always delivered quality music though and it's quite rare to say an Evergrey album disappoints and it was pleasing to say they didn't disappoint live either. We had two support bands to get through first. First were Awake by Design. The name had me thinking some kind of proggy metalcore but in fact I was totally wrong. They played melodic metal with melodic vocals all the way and no screaming. However all positives began and ended with the lack of growls. The band failed to capture me with anything remotely resembling a catchy tune and their half an hour allotted time couldn't end quick enough for me. Sorry guys, maybe you sound better on record than you do live. 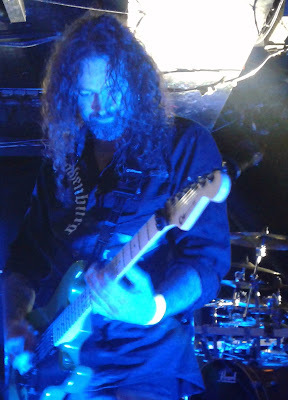 Following on were One Machine, a band led by Steve Smyth ex of Testament and Nevermore. Unfortunately I didn't like their debut album from a couple of years ago. I found it devoid of excitement though there's no doubt My Smyth is a big shredder. Unfortunately once again I found myself totally underwhelmed by their live performance and the songs failed to move me. The sound wasn't great for them either and the singer seemed to be having some vocal problems as he said he was suffering from hay fever the poor bloke. Personally I doubt it would have made any difference had he brought his A game anyway. I was bored waiting for their set to end which it finally did do and allowed the stage hands to get the set ready for the returning Swedes who had incidentally played Graspop the night before. A bit of come down in attendance indeed from many 1000s to 300 or so diehards on a rainy Saturday night. Still that didn't stop them from playing a fairly lengthy set of 90 minutes of Evergrey's finest cuts. They started with the mighty King of Errors from the latest LP and continued on with a mix of classics and newer anthems whilst many of the crowd sang along. The sound for Evergrey was superb and crystal clear as they had their own sound man I think. The songs I enjoyed most were The Masterplan, Blinded, A touch of Blessing and Recreation Day. These guys are consummate live pros and played a full set to perfection although Tom was a bit rough vocally here and there but I guess it's been a hard couple of days with travelling from the fest and the weather not being very summery either. All in all a cool night of classic Swedish progressive power metal.